Elementary mode (EM) analysis based on the constraint-based metabolic network modeling was applied to elucidate and compare complex fermentative metabolisms of Escherichia coli for obligate anaerobic production of n-butanol and isobutanol. The result shows that the n-butanol fermentative metabolism was NADH-deficient, while the isobutanol fermentative metabolism was NADH redundant. 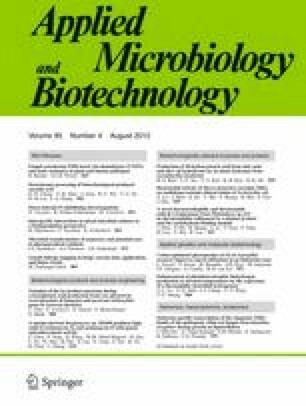 E. coli could grow and produce n-butanol anaerobically as the sole fermentative product but not achieve the maximum theoretical n-butanol yield. In contrast, for the isobutanol fermentative metabolism, E. coli was required to couple with either ethanol- or succinate-producing pathway to recycle NADH. To overcome these “defective” metabolisms, EM analysis was implemented to reprogram the native fermentative metabolism of E. coli for optimized anaerobic production of n-butanol and isobutanol through multiple gene deletion (∼8–9 genes), addition (∼6–7 genes), up- and downexpression (∼6–7 genes), and cofactor engineering (e.g., NADH, NADPH). The designed strains were forced to couple both growth and anaerobic production of n-butanol and isobutanol, which is a useful characteristic to enhance biofuel production and tolerance through metabolic pathway evolution. Even though the n-butanol and isobutanol fermentative metabolisms were quite different, the designed strains could be engineered to have identical metabolic flux distribution in “core” metabolic pathways mainly supporting cell growth and maintenance. Finally, the model prediction in elucidating and reprogramming the native fermentative metabolism of E. coli for obligate anaerobic production of n-butanol and isobutanol was validated with published experimental data. The online version of this article (doi: 10.1007/s00253-012-4197-7) contains supplementary material, which is available to authorized users. This research was supported in parts by the lab startup fund and the SEERC seed fund for the author at the University of Tennessee, Knoxville, TN, USA.